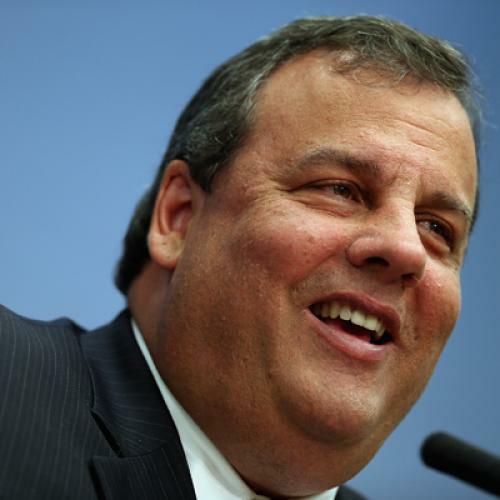 Christie Aims for Obamacare, Hits Romneycare. Oops. The image of a bureaucrat getting “between an American citizen and her doctor” may not be the best way to win over swing voters, given the number of prominent Republicans who support ultrasound bills and other initiatives that dictate physician behavior towards women seeking abortions. But let’s stick to the line’s intended point, which was about health care reform. As you probably know, conservatives are furious that the Affordable Care Act sets up a commission with the power to recommend changes in Medicare payments. They say the commission, the Independent Payment Advisory Board or IPAB, will inevitably limit seniors’ access to providers and ration care. My health care plan I put in place in my state has everyone insured, but we didn’t go out and raise taxes on people and have a unelected board tell people what kind of health care they can have. That italicized portion of the statement is false. The Massachusetts health law created an independent board, with members not directly elected by the people, to oversee its universal health care scheme. The board, known as the Connector Authority, has power to define what benefits insurers must cover, among other things. Chapter 58 of the Massachusetts General Laws of 2006, which he signed with a flourish at Faneuil Hall on April 12, 2006, authorizes the Board of the Commonwealth Health Insurance Connector Authority (the Connector) to establish Minimum Creditable Coverage i.e., the minimum insurance coverage that satisfies the requirement that residents who can afford it have insurance, and to establish the standard of what is affordable. The Board was composed of ten members, 4 of whom served (ex officio) by virtue of their appointed office in the Romney administration, three more of whom were appointed by Governor Romney to the Board, and three of whom were appointed by the Attorney General (Martha Coakley). I believe it was on June 6, 2006, that Governor Romney walked over from the State House to a conference room in One Ashburton Pl, a state office building, to swear in the six Board members who were not serving ex officio, in front of the press and 200 onlookers. By contrast, under “Obamacare,” the affordability schedule was established by Congress, in ACA, and each of the states is establishing its own definition of Essential Health Benefits. I’d say the contrast is reasonably clear, if not exactly the way he suggests. Does that make Romney a hypocrite and, arguably, a liar? Yes it does. But I’d rather focus on the broader health policy point. No insurance system in the world pays for everything. Somebody has to decide what to cover and when to cover it. The real question is who makes that decision—democratically elected officials and the expert surrogates they appoint, or insurance company managers and the profit-seeking shareholders they heed. You can argue it either way, but I’d certainly feel better with public oversight. Apparently Romney does too, even if he won’t admit it. Update: I reworded the distinction between public and private oversight in order to clarify it.